One of our latest hoodies. 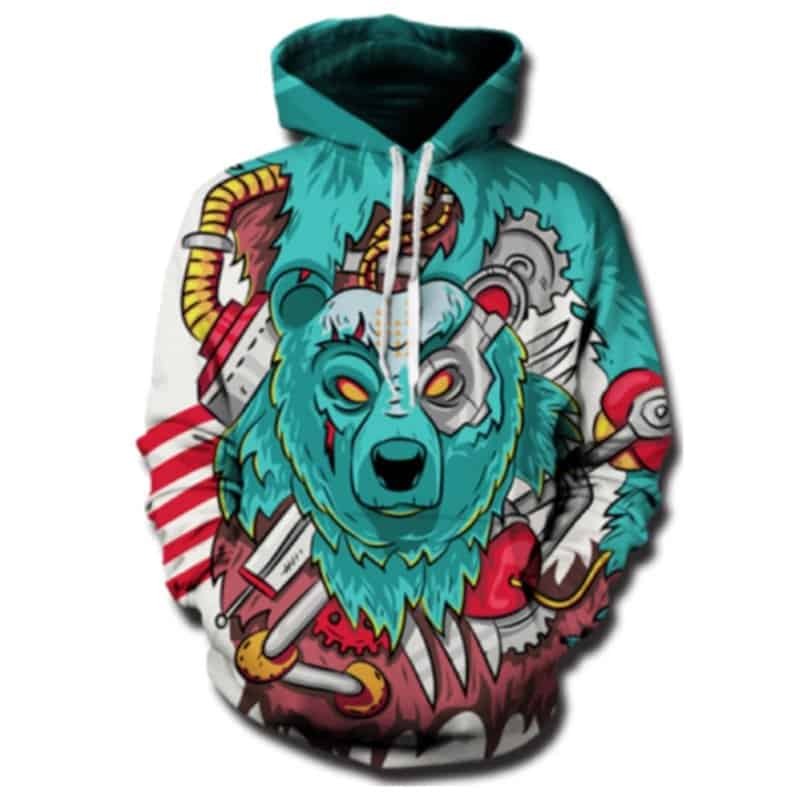 This Robotic Bear Hoodie makes use of various patterns and colors. An original concept this cyan blend robotic bear concept is quickly becoming a favourite. The hoodie is comfortable to wear, looks fashionable and is wearable anywhere. It was designed for both male and female.